Malik Rehan wakes up at 7 AM almost every single day. He takes a bath, prays namaz (salah), and has a cup of chai with his mother before helping his sisters with the chores. At 8 AM, he has a light breakfast and gets dressed for the school day. On his way to class, he often scans the open skies for airplanes. As long as he could remember, Malik’s ultimate dream was to become a pilot one day InshaAllah. However, Malik, 9-years-old, has not had an easy life. He’s from the Gadag district in the state of Karnataka located in southern India. 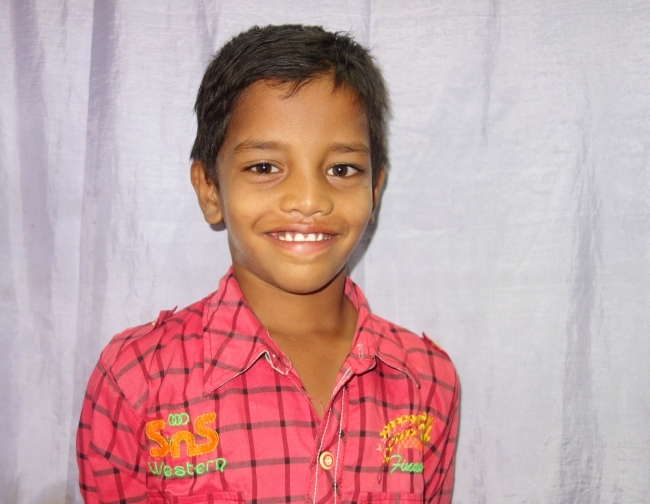 When he was only two years old, he and his siblings lost their father to a heart attack. Malik’s mother, Afreen, was deeply shocked and depressed from the sudden loss. Due to the lack of family support, Afreen had to start all over again. She moved to a single room in a small rented house – a structure that was built out of mud and thatch with a tin sheet for a roof. Afreen never worked a day in her life back when her husband ran a successful construction business. Now, she was laboring as a tailor to make ends meet, but despite her hard work still found herself borrowing from neighbors. All she wanted was to secure a good education for her children. One day, someone told her about Zakat Foundation of America’s (ZF) orphan sponsorship program. She decided to fill out an application for her youngest son Malik. A few days later, ZF field officers visited her home and almost instantly enrolled Malik in the orphan sponsorship program (OSP). ZF’s sponsorship program has certainly benefited Malik. Now a third grader, he has proved himself to be an excellent student (he only receives A’s). Aside from academics, Malik is a talented singer and dancer as well and participates in after school programs where teachers only speak highly of him. In his spare time, he enjoys watching cartoons. The orphan sponsorship program (OSP) is an integral part of the humanitarian efforts being made by ZF. To learn how you can make a difference in a child’s life, please click here.